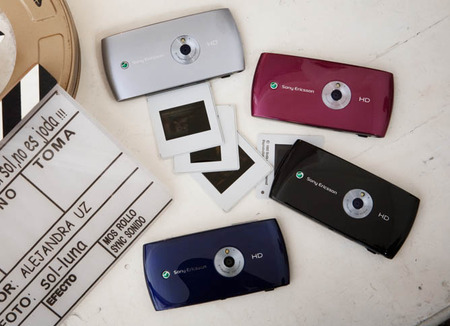 Sony Ericsson’s new Kurara phone will have a whopping 8 mega-pixel camera. This trendy new Sony Ericsson Symbian phone is all about the photos and the video and follows the Satio in SE’s communications and media portfolio. Called the Vivaz, the camera has continuous autofocus video shooting with image stabilization, face detection, and captures the video in HD. Looking at the photos should be pretty nice as well, on the 3.2 inch screen WVGA screen. 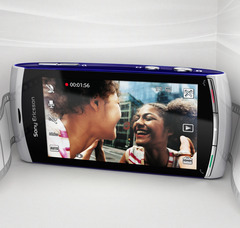 The handset has an unusual curvature round the edges which Sony Ericsson are making a bit of a design trademark. It’ll be available in four colors — Moon Silver, Cosmic Black, Galaxy Blue, and Venus Ruby and should be launching worldwide in the next few months.